Diedrick Brackens in his Los Angeles studio. While many artists and critics have rejected allegory and narrative, Diedrick Brackens uses those exact strategies in order to meld questions of identity and history. His materials are the starting point for this relationship: “Cotton is the primary material because it is a very easy material to manipulate, it takes color beautifully and its historical significance in the U.S. relative to enslavement, violence and subjugation has had lasting effects on black bodies,” he says. 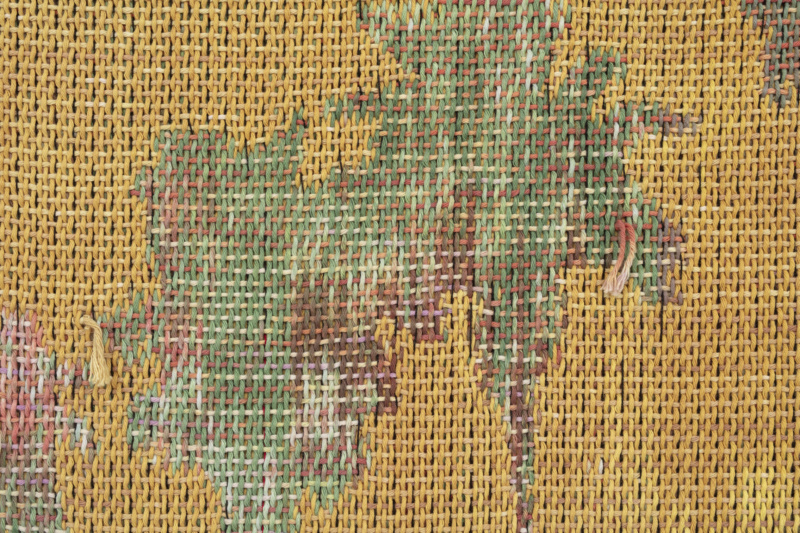 “I think of the process of handweaving cotton as a small way to pay tribute to those who came before me and worked with the material under very different circumstances.” Each of Brackens’ works is thereby a literal piecing together of histories that remain present today, collapsing time upon itself within layers of fabric. Detail from in the decadence of silence, 2018. Like history itself, his work is always a composite creation—an assemblage of sorts. “The figurative images are constructed in a manner much like collage. I build an image by photographing models, sourcing images found on the internet and social media, scanning family photos, et cetera. 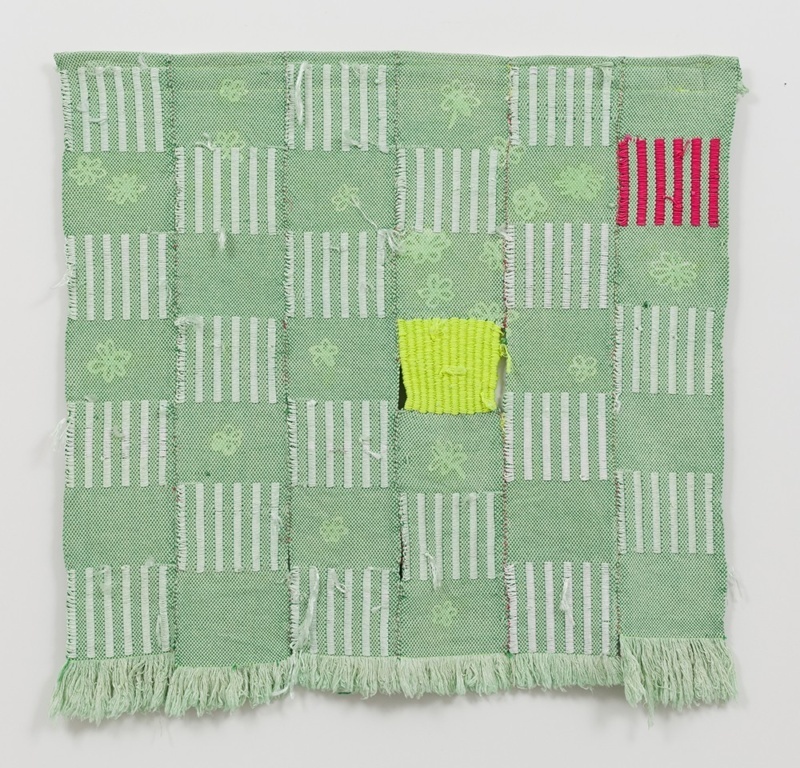 Once the images are decided I make a composite drawing, which is then used to create a weaving.” The narratives Brackens employs, therefore, are not seamless, but rather self-conscious constructions that carry the debris of history and desire with them in each step. We thus understand narrativity to be something in process—filtered through lived experience and never unilateral.